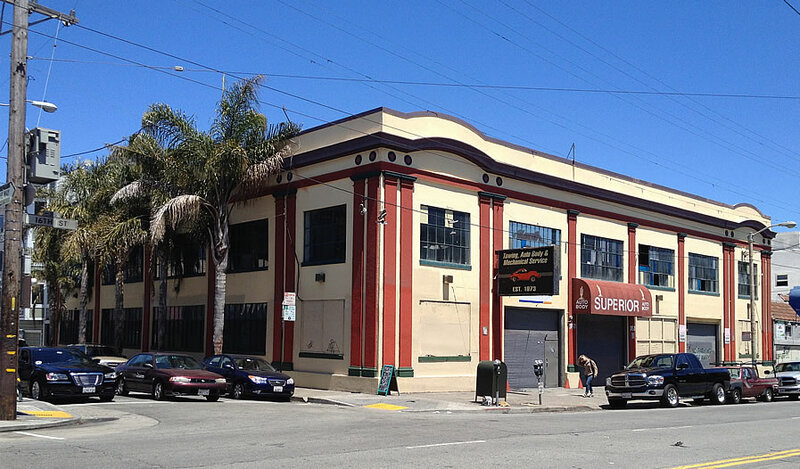 Plans to level the two-story Superior Automotive shop building on the northeast corner of 16th and Albion, a Mission District building for which Mx3 Ventures paid a record setting $8.7 million in 2013, have been abandoned. And instead of developing a new five-story building, with 28 condos over 7,300 square feet of ground floor retail space, on the 3140 16th Street site, the owners are now moving forward with plans to simply rehabilitate and reuse the historic building: converting the first floor into two retail spaces, four parking spaces and small residential lobby along Albion, with four two-bedroom apartments on the floor above. The new plans include the removal of the building’s three garage doors and curb cuts along 16th Street, with a new garage door cut into the Albion Street façade. Hints that the grand plan for completely redeveloping the site were in flux subtly emerged last year, as we first reported at the time. Don’t be surprised if those pans are dusted off in five to seven years time. Wow. 3100 square feet of prime real estate used for four parking spaces. That’s gotta be a record. I wonder which will bring in more rent: a 2854 square foot retail space or four parking spaces? I’m I reading this right, are they really planning on dedicating about 500sqft to an internal driveway? Surely they could have laid this out better. You would think that they would at least put lifts on those two residential spaces. Oh what a shame !!! One less bold, innovative condo project where some out-of-town architect hones his skills for the Pritzker, while those 28 units would have bridged the gap between affordability and $XXXX/sf prices (at least together with the several thousand other unsold units). do the pritzker’s own this? dont get your connection. So [$2.2mm] a unit before construction costs. Is this Planning’s fault or economic pessimism on the part of the owners/financiers? ok…I give up. How do you access the egress stair if you live in units A – B – C ? Yes! A win for all homeowners in the Mission area. Thank you for keep our property values sky high. You’re welcome. And for sky high property values you also get filth and crime. All yours. I live on that block of Albion and did not hear of any significant objection to the original project. The biggest concern was over how much longer that building sit vacant. Kind of a shame that we won’t see more units here, but I guess it’s a nice looking building. I agree. It’s a beautiful building. The retail will be wonderful and I am sure those four units will be great. It’s sad that we don’t get the original 28 units in the neighborhood though. But I don’t blame the owner for taking the path of least resistance given how hard it is to get any development done in this city. Ahh…2013. What a wonderful year for bright eyed RE development optimism! 2016, not so much. 2017-18…could be seeing some serious red on this project, big time! The owner seems to have taken the path of least resistance. Remodel the existing structure to increase cash flow in the interim. As the editor notes, the plans for a 5 story building could be revisited in 5 – 7 years. It seems the owner is holding off and waiting to catch the next up-cycle. This fits in somewhat with the significant number of entitled projects put on the market recently. It will be interesting to see if some projects set to break ground in 2017 are delayed. It may make more sense for some of these projects to start building in 2019 and come on line in 2021 rather to start next year and come on line in 2019. I agree with your timing. But I’d be surprised if this dev does a 2 step. It’ll be hella expensive to convert this bldg to residences, much less with the plans to ditch that remodel in a few years. Might as well do nothing to it and rent it as parking/storage, hunker down and wait for the storm to pass. I think these guys overpaid, and are anxious to start building something. It was parking for a week or two… quickly shut down. My guess is that parking is not allowed in the Mission. I seriously doubt the residents paying market rate prices will enjoy months of construction above them. Even if technically feasible, that’s not the plan as proposed (which incorporates the building’s original barrel ceilings above the second floor). Much better IMHO. Seems to stay within the character of our lovely little city (i.e. no highrise) and love that they’re keeping the historic building. “The character of our lovely little city” isn’t worth preserving if it isn’t affordable. 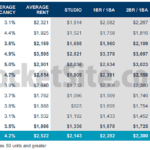 There is a massive amount of demand for the opportunity to live in San Francisco and not enough housing to satisfy that demand at affordable prices. Does the desire to “preserve character” really justify keeping so many people out? And might demand for the opportunity to live in San Francisco begin to flag with too much change? I’m not missing the developer’s abandoned plans Just wish this handsome building gets put to productive use again soon. Do you have any evidence showing that building market rate housing in a boom makes housing more affordable. or is this just Econ 1: S&D Curves for Beginners? Do YOU have any evidence about all this “foreign investment capital” that you claim has been so prevalent and now disappearing from San Francisco real estate? Pacific Union ran a study of their cash deals. Only 6% went to international buyers, inclusive of both investments and primary residences. Given that cash sales are not the majority of the market, the amount of actual total sales going to international buyers of any shape is completely negligible in the grand scheme of things. 6% of 10%. so, intl buyers that 2 beers keeps talking about make up <1% of investment. What a lame piece of data. First, Pac Union is a higher end brokerage that mainly operates north of Cesar Chavez. The foreign buyers are snapping up a huge amount of real estate in D3 and D10, not to mention D2. Second, a lot of foreign buyers are actually able to get loans, although with inferior terms. Speaking of which, Vancouver finally stood up and did something to help its citizens. Too bad SF is too crony capitalist to follow suit. Sabbie can you furnish data supporting your foreign investors + D3,10,2 take, and data supporting they can obtain loans? Call Sterling Bank and ask about the loans. As for the foreign buyers, just drive down San Bruno Ave. Your response to my actually curious question was a deflection and an opinion supported by a subjective anecdotal opinion. I see. “the foreign buyers are snapping up a huge amount of real estate in D3 and D10, not to mention D2.” data? or is this just mroe fearmongering? Because we both know very well there is no good, hard data on foreign buyers in SF. It’s something that we should be keeping track of, but we don’t. I have a lot of contacts in the business and yes, I am going from the anecdotal evidence, and common sense regarding what I see around me every day. I am quite certain the number is very much greater than 1%, let’s be serious. As for the loans, I do know this for a fact, like I said you can call the bank to verify. They have to put down 30% but they can get the loan. Also you can type “can foreign buyers get a loan?” into your Google machine and you’ll see that it’s true. @Sabbie I’m no Constitutional scholar but have to question whether the disparate treatment of even foreign nationals as Vancouver is doing would pass muster here. About a third of SF residents are foreign born. They own homes at a slightly higher rate than native born. In our recent boom times, people have been moving to SF from outside the USA at a rate of about 1,000 per month. Over the longterm of say the past 50 years or so, foreign born account for half of the population growth of SF and of the Bay Area. All of this according to the US Census Bureau. Doubt they all arrive with no money. Well you mean except the evidence right in front of us? That prices are holding steady or even dropping while supply is going up? More housing built in a boom is still more housing around during a bust, last I checked. Which means that prices would bottom out lower, no? Or is the claim that more housing in a boom negates the chances of a bust? If so, shouldn’t we always build more? SF not having any “high rises” (as if a five story building in any way, shape, or form is a “high rise”) is the City’s character from what, 1929? Why do you insist that SF is a little village? How does this possibly amortize $8.7m purchase price? The two commercial spaces carry say $1.3 and $1.4 million land cost. Four condos, two of which have no parking, carrying $1.5m land cost each, averaging something like $3m each sales price. For two bedroom, second floor units, one of which is a walk up, in this neighborhood? On what planet does this work? Will never get built unless someone has a desperate need to loose money. In the new design the residential units are listed (at least in this article) as apartments rather than condos. Presumably the remodel would be done on the cheap with the idea to do a teardown and rebuild along the lines of the original plans five or six years from now. Then bring on the displacement fight. Will the the so-called Progressives allow demolition of even market-rate, non-rent-controlled rental units? Well, the developer has already spent the $8.7m; so the developer’s choices are to either default on whatever loans he has (which may not be that feasible depending on how they are secured) or cut his losses by making as much money as he can right now. I don’t think this interim plan makes any sense. Too expensive for a temp plan. Might as well rent it as parking and storage and spend no dollars now. Hold it and push your plans in 2-3 years…as it will take another 2-3 years for approval plus 1.5-2 to build it, and presto, you’re coming on market in the next up cycle. It was turned into monthly parking but it quickly disappeared. I think the City shut them down. Not sure why it would disappear so quickly, especially after signing monthly leases. And you are right, it isn’t a temp plan… how do you evict your residences when it is time for phase 2? If it’s not been used as a parking lot in the past, you can’t just change it into one. You’d need to go through a Change of Use process which might even require you to get on the Planning Commission agenda, which I think has a 12-18 month backlog. I’m sure that curb cuts and driveways on Mission St. are a no-no, and so it would probably be tough to get approved in the current configuration. A parking lot would mean a lot of traffic in and out which would further screw things up for vehicles and pedestrians on Mission. I’m not arguing that point, just describing how the city would see it. I will tell you this: they will make their money back with a decent return versus had they put it into a money market account. So I’m not crying for Argentina or anything. yeah. i liked this one for like 3M. I don’t see how they can make money unless they sell the units for $4mm each. Errr…wait a minute folks. There won’t be any future new construction building on this site. The planning dept told them that this is a category A historic bldg. all they can do is work with it, not demo it (practically speaking.). So 4 units, 2 shops, and some parking is it. At $8.7 purchase 3 years ago? Man these guys just lost their asses on this big time. Thanks, SFrentier. Looking at the planning department’s property map website, I’m surprised at how many “historical districts” there are within a few blocks of the 16th Street BART station. Anyone hoping for a significant increase in density in this neighborhood will be disappointed. I’d imagine they could keep the historic facade and roofline, pull back a few feet at the existing roofline and then go up to the permitted height with a new building. That’s what everyone else is doing with historic buildings. Do this now, and carry forward a paper loss. Can be incorporated into future profits after the inevitable expansion takes place. So a property built in the early 1900s (no idea on the actual date), is not deemed historic till a developer seeks to take action. Hmmmm…. but upon review after a development is proposed, the property’s historic value is finally realized. Thank god the developer tried to take down the building bc we would of otherwise never of known of it’s historic value. If this does not scream, corruption, BS and everything in between, i do not know what does. We voted down the Mission moratorium, but that seems to of been forgotten. That’s a bit harsh. Appears eligible means appears eligible. Sometimes they are not deemed historic. But the city will extract its pound of flesh for the review either way. That’s true, but (for others) to suggest that that the historic nature of the building wasn’t known or surreptitiously changed after the fact is false. And having been identified as eligible as both an individual and contributing resource should have raised more than a yellow flag. This is classic SF, come on. Let’s not call it historic, but “appears eligible”. Who conducts these surveys? I’m not familiar w/ the process. I bet Campos will start pushing for all sorts of properties to “appear eligible”. This whole “appears eligible” basically means what the OP says- it’s scrutinized by planning dept when someone wants to change it. No, that’s not really it. You’re getting a historic review either way as it’s over 50 years old. And that will be scrutinized. Wrongo. They don’t do a historic review automatically for that category. Only if development triggers it. If it’s considered a definite historic resource, then yes an extensive report is done. These are merely tagged in planning’s database to be further discussed. You did not respond to the words I wrote, but I think we’re talking past each other and might confuse other people if this goes on any further. It was looked at in two surveys, both conducted in 2004. 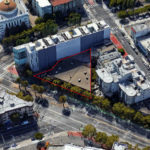 I have always been curious as to when Cherin’s will sell their lots on Valencia. It will be sad to lose their services, but what a goldmine they are sitting on.